Lizzie and Murder Party will both making their Shudder premiere. 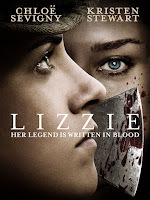 Academy Award (R) nominee Chloë Sevigny (Boys Don't Cry, "Big Love") stars as Lizzie Borden, the notorious woman at the heart of one of the most enduring mysteries in American history. 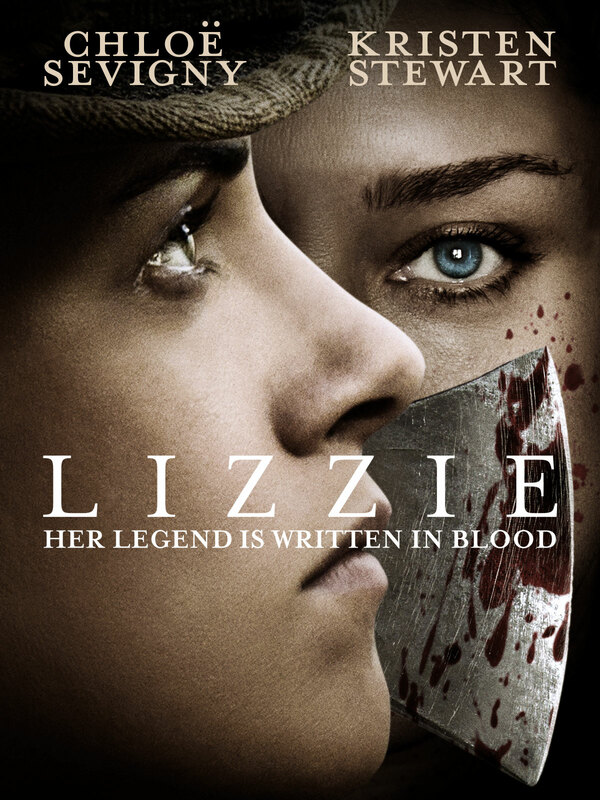 After a lifetime of loneliness, Lizzie finds a kindred spirit in housemaid Bridget Sullivan (Kristen Stewart) and their secret intimacy sparks an unthinkable act. Director Craig William Macneill (The Boy (2015), "Channel Zero: Candle Cove") explores the days leading up to the savage crimes in a dark tale of repression, exploitation and thwarted dreams. Coming to Shudder April 11. 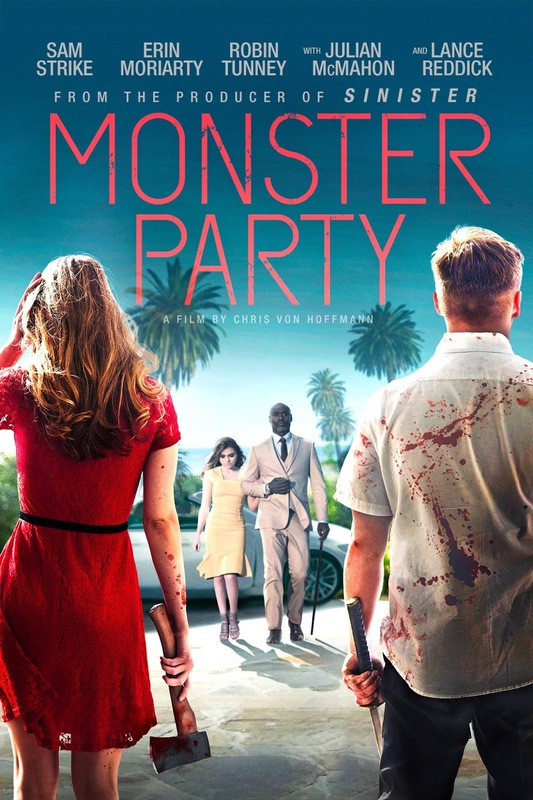 Three thieves break into a party secretly hosted by a group of recovering serial killers and their simple heist turns into a battle for survival. Coming to Shudder April 25. 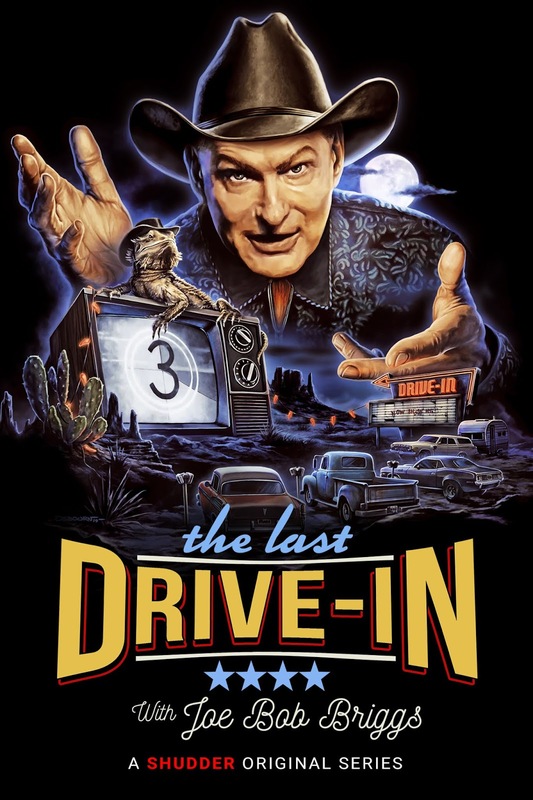 The new weekly series of The Last Drive-In with Joe Bob Briggs, which actually starts this Friday night, will be airing! I am counting down the minutes to spending time with Joe Bob Briggs and the lovely "Darcy the Mail Girl" as they present two movies every week! 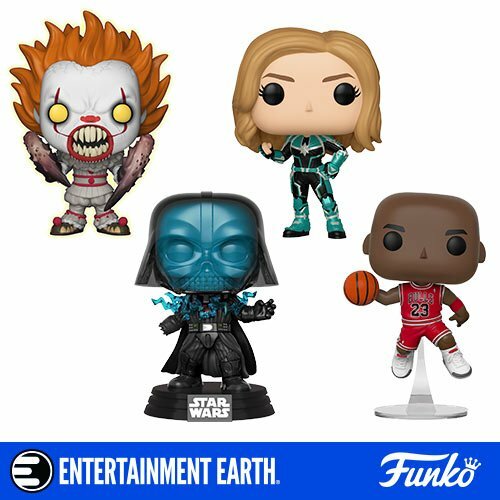 There will also be a special "half way to Halloween" collection with the first five entries in the Halloween franchise, including my third favorite entry, 4 and perennial fan favorite 3! 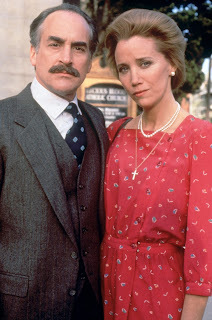 Also of note, is that on April 8, we will have the Shudder premiere of The Haunted (1991) a made for TV movie based on a case from Ed and Lorriane Warren (whose paranormal cases inspired The Conjuring movies). Sally Kirkland received a Gloden Globe nomination for her performance in this horror flick. Apparently, it has never been released on DVD or Blu-ray in the US. I actually think that I may have seen this one, but even if I did I do not remember anything about it.